Well-known lawyer Emil Kurbedinov detained in Crimea. 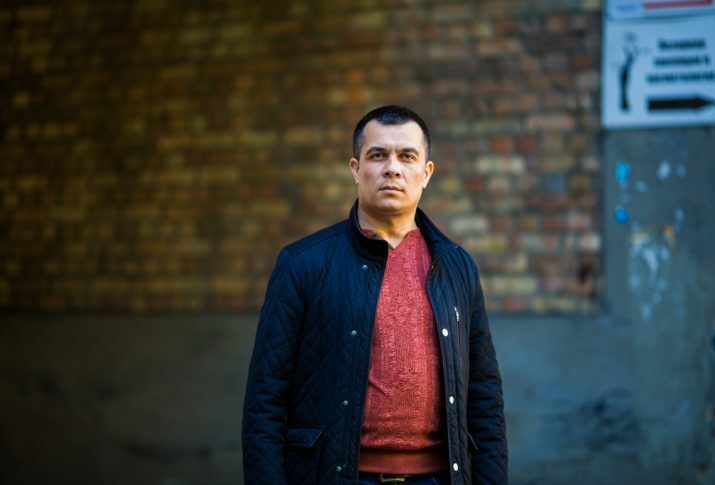 He is charged with "extremism"
Employees of the Center for Countering Extremism in the annexed Crimea detained the Crimean lawyer Emil Kurbedinov who is known for defending Muslims in the occupied Crimea. Lawyer Edem Semedlyaev informed about the detention on his Facebook page. The reason for the detention was allegedly a post on social networks. But, of course, it is always contrived. This is pressure on lawyers, on human rights defenders. Journalist Anton Naumlyuk noted on Facebook that Kurbedinov was detained on suspicion of “propaganda or public demonstration of Nazi paraphernalia or symbols, or paraphernalia or symbols of extremist organizations” (Art. 20.3 of the Administrative Code). Naumlyuk added that the lawyer was detained on the way from home to office. He reported about his detention from the “Directorate” of the Russian Interior Ministry in the Crimea. The detention of Kurbedinov was confirmed by the Head of the Mejlis of the Crimean Tatar people Refat Chubarov on his Facebook page. On November 6, CCE employees came to the office to the human rights defenders of the public association Crimean Solidarity in the annexed Crimea. Then security officials handed a warning about “preventing illegal actions” to Emil Kurbedinov. Furthermore, masked men came to the office of the “senior prosecutor of the prosecutor’s office” of the Crimea, Valentina Chuprina, without showing their documents. The security officials came allegedly because they had information about the preparing a series of solitary pickets in support of their clients by lawyers. Prior to this, on October 27, employees of the Russian prosecutor’s office, accompanied by unknown masked men, attended the meeting of the Crimean Solidarity. The lawyers Edem Semedlyaev, Lila Gemedzhi and the coordinator of the public association Crimean Solidarity Dilyaver Memetov were warned about “preventing violation of the law in the sphere of extremism”. Journalist Anton Naumlyuk informed that Kurbedinov was charged for a post of 2013 with the image of symbolism prohibited in Russia. “According to the materials of the case, the denunciation against Kurbedinov, was written by a former resident of the Crimea, who moved to live in Damascus, some Muhammed Salem,” Naumlyuk pointed. Опубліковано Anton Naumlyuk Четвер, 6 грудня 2018 р.